After having Herbie stolen from me the night before, I decided yesterday morning that I’d try what I could to get him returned to me. I fired off emails to local newspapers and tv stations in the hopes of someone picking up the story. I mean, who knows – maybe it was just a kid who took Herbie and now their parents would know. It is understandable. I mean Herbie is a pretty irresistible little guy. I know every time I would pull him out of my backpack in Southeast Asia to take a photo it made people smile. Yes, he’s that cute! So, yeah, I fired off some emails. In the email I talked a little about my trip and how Herbie came to be. I mentioned all the places he had been including a link to the photo album where all his photos could be found. 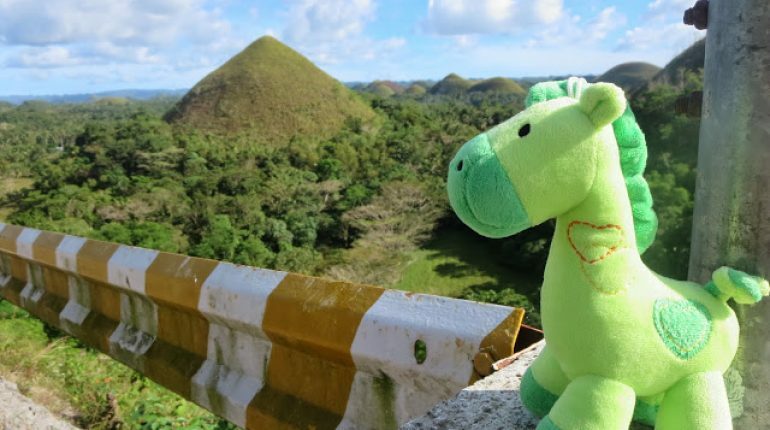 I also talked about how instead of bringing back souvenirs like everyone else does, I was going to give custody of Herbie to all my friends for a week at a time, have them take photos of him and just kind of continue Herbie’s adventures. I also made sure they knew I wasn’t blaming the Keg restaurant in anyway whatsoever. My worst fear was that they would angle the story that way and, if anything, the managers and staff went above and beyond to look for him. Thanks to my still ridiculous sleeping hours, I was up at the crack of dawn again yesterday and was up when I got my first email response. A guy at the CBC got back to me with I work for the CBC and am wondering, no offense intended, if this is a joke? A few hours later the Province newspaper got back to me with a phone call. I talked to a reporter on the phone and answered a few questions and then he asked me about photos for the article. The Province was going to run my story! I was so excited! This was my first time doing anything with the media and I gotta say it was a pretty surreal experience. A little while later a different person from the CBC wrote back to me and just simply asked if I had a photo with the both of us in it that they could run for their website. Around noon both articles made their way online. 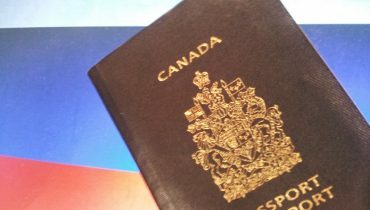 The CBC article came out first. The way the CBC ran their story was kinda sneaky and sensationalized. First they put it as their feature story on their website with the banner of breaking as if it were breaking news. 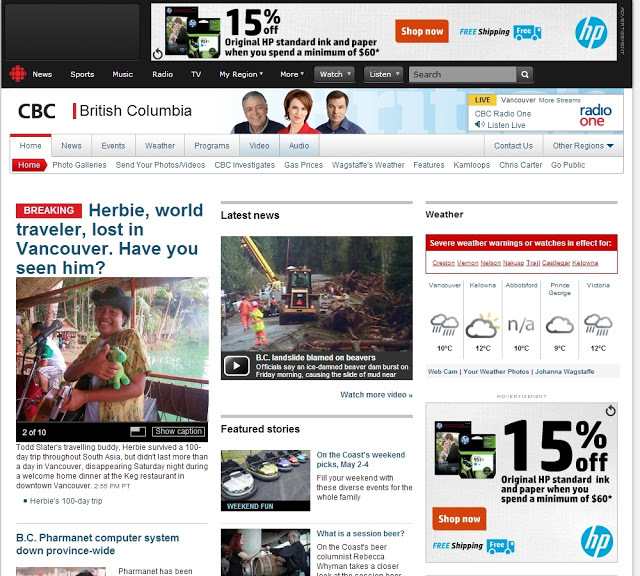 They also used a cryptic title for the article: Herbie, world traveler, lost in Vancouver. Have you seen him? To top it off though they had their choice of over 100 photos to splash on their front page and they chose the only one that had Herbie posing with a person as every other time I just took photos of him on his own. 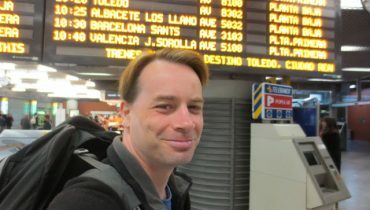 Naturally, people were tricked into thinking that this person in the photo was Herbie and he was the world traveler who was lost. The article itself was pretty much a quick bang up job put together by cutting and pasting what I had said in the email. 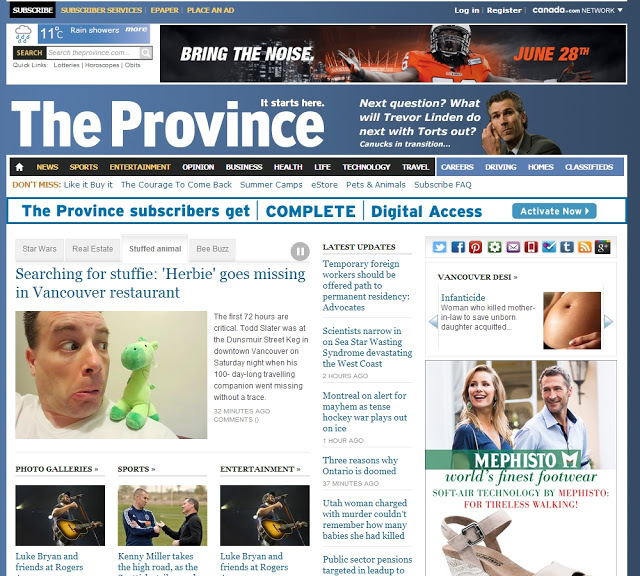 The Province, on the other hand, took some time to put together their story. They didn’t sensationalize it and instead put it under the heading of Searching for stuffie: ‘Herbie’ goes missing in Vancouver restaurant. They actually called the manager at the Keg to get a quote for the story too which I guess from a journalistic viewpoint was good but I felt bad that he had been dragged into this story. I actually gave him a call later on in the day to apologize for that and to also let him know his staff and managers did an awesome job. So, here I was – out there for all to see. 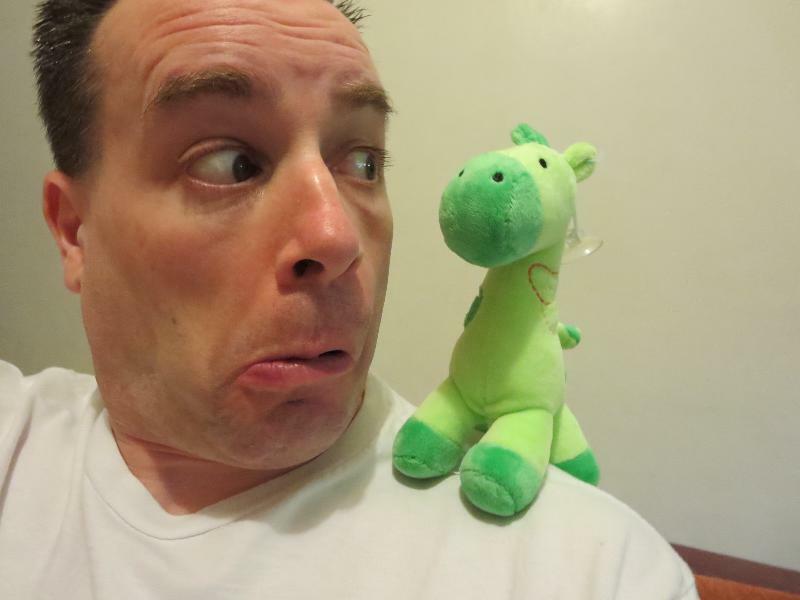 My goofy mug with a little stuffed green dinosaur on my shoulder. I mean my friends know I’m quirky but now the whole world knew it too.. I was pretty happy with the articles and I must admit it felt pretty cool having a little bit of fame. On the Province not so much because they only let you comment with a Facebook login and people are reluctant to talk smack when they can’t do it anonymously. However on the CBC website you can leave comments anonymously and both they and I got grilled big time. What I thought was a cute and endearing story about a little stuffed animal that made it safely through all of Southeast Asia only to meet his demise after only one day here in Vancouver was viewed quite differently by people. Granted the CBC really did bring alot of the ire upon themselves with their sneaky ways but, man, people were out right mean. While I went about my day I would periodically refresh the page to see what people had to say. Some people were just downright offended that this was a “news” story and even one person thought it was a slap in the face to anyone who has ever had a loved one go missing. Anyway, I just kind of shrugged it off because, let’s face it, people will always go towards the negative of everything rather than focus on the positive. It’s human nature. I’ve been guilty of it too. So, yeah, Herbie (and I) got our 15 minutes of fame yesterday. I love the idea of someone having him and taking photos with him all over. That would be cool. Kind of what I wanted to do with my friends by giving each of them custody of Herbie for a week. My mission has changed now from getting him back to finding a distant cousin of his in a store somewhere.